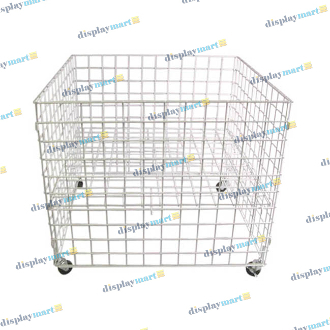 The DisplayMart.com large wire grid dump bins are ideal merchandiser displays for bulk items. Available in black, chrome and white finishes, each dump bin has four heavy duty casters for easy mobility. The adjustable bottom shelf accommodates bulk items large and small.